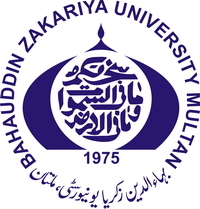 Welcome to BZU, Multan Academic Software Center! It is a pleasant moment for us to intimate you that university is providing “Genuine Software” with the collaboration of HEC & Microsoft, Pakistan from last two years. You can download your required software from your account and then install on your own PCs or laptops. To grab a free software account, you must submit your dully filled and verified IT Service Requisition form (by Chairperson) to IT Center. IT Center will verify your data from university database and after verification you will receive an email on your email address, which you will provide on your form. After receiving an activation email from IT Center, you will be able to download your required software from your MSDN account. For any further query regarding this free software package or any other issue you may send an email to below mentioned email. Please note that the pricing provided on this site is made available exclusively through an agreement between BZU and selected software publishers. Moreover, you can get “download procedure” of free software as power point slides in reply from above mentioned email address, when you will send us a request for this.